Are You Actually Wasting Money on Rent? Maybe Not. As you get older and your friends begin to purchase homes, it’s easy to feel pressured to buy a home of your own. You might also feel pressure from parents and relatives to buy because “it’s an investment” or so you can “stop wasting money on rent.” And although it’s true that purchasing a home can be considered an investment (some would argue that your primary residence is not an investment), you’re certainly not wasting money on rent. And it’s important to realize that your parents grew up in a different time when homeownership was much more accessible. The point is this: it’s your money to do with as you please, and only you know what’s best. Plus, there are some major upsides to renting. If you haven’t owned a home before, it likely sounds attractive. And don’t get us wrong, there are many benefits. 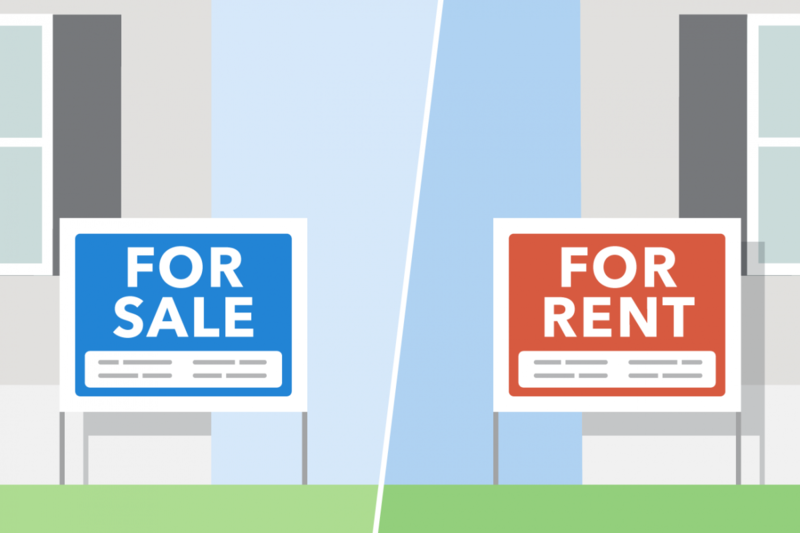 But if you’ve only ever rented, you may be blind to the benefits renting has over owning. The main benefit being that it is extremely straightforward in comparison. Instead of looking for side gigs or apps that pay you to walk, find affordable rent and put your mind at ease. A mortgage contains stacks of legal documents and takes hours to go through. A lease, on the other hand, only contains a few pages and usually doesn’t require a lawyer to review. The terms rarely change, other than small increases in rent from year-to-year. Signing a year-long lease may not seem all that “flexible,” but in comparison to a mortgage, it definitely is. It allows you the flexibility to move each year, or simply re-sign if you’re content. If you want to travel at the end of your lease for a few months – no big deal. Simply forgo resigning and put your things in storage or at your parent’s place. Of course, you’ll have to find a new apartment when you get back, but you didn’t have to take the time to sell your house or find tenants like you would have needed to do as an owner. Which actually brings us to another option: subletting. If your lease allows, you could always sublet your apartment for those months of travel for even more flexibility. You may not appreciate, or even realize this as a renter, but you’re actually paying for a service. Your landlord or property management company is the one maintaining your building, any common areas and paying property taxes. This is the reason why your rent may increase from year to year, but at the end of the day, you don’t have to worry about replacing a busted hot water heater, cutting the grass, trash removal or any number of things that come with owning a home. It’s a bonus if you have access to common areas like a gym, pool or other amenities too. If you owned a home, these are things you’d have to purchase, install and maintain yourself. Make $500 fast, and do it for a couple months, and you can upgrade to a nicer place! The comparison above isn’t meant to scare you out of homeownership, rather it’s meant to educate you on all the costs associated with a home purchase. It takes time, energy and the appropriate amount of money saved to purchase a home. It’s as simple as that. If you don’t feel ready to purchase a home, there’s absolutely nothing wrong with renting. In fact, we’re certain some homeowners look back fondly on their days as renters. Whether you’re renting or buying, it’s all about making a sound financial decision that makes sense for YOU.